If you are interested in any of the organisations listed, click on the name to link to its website. This is a very good safari company. 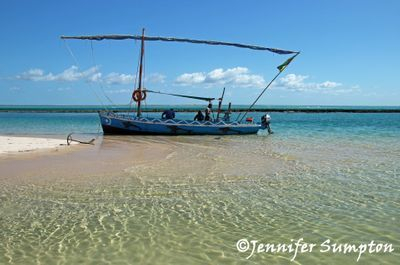 On my trip to Kenya in 2009 I based myself on the coast for two and a half weeks and booked my trips to Tsavo National Park, Lamu Island and a day trip to Wasini Island with Natural World. Anyone who has dealt with an organisation in Africa knows that communication can be frustrating however Humphrey, who runs the company, responded to my initial inquiry within six hours and any other query thereafter very promptly. Trips are reasonably priced and well organised. All three trips were fantastic, but if you only have a limited time on the coast I would recommend the day trip to Wasini Island - go snorkelling in the beautiful waters of the Kisite Marine Park (I was the second person into the water and the last one out!) and enjoy a delicious seafood barbeque lunch (you can have meat if you don't eat fish). Natural World Mombasa Safaris is also recommended in Lonely Planet's Kenya Guide. One of two companies I have used for day trips in and around Johannesburg. 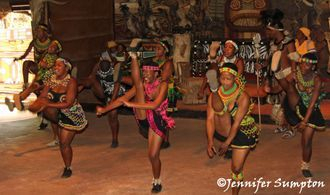 They have a variety of trips to choose from and Maggy, one of the directors, took me to Lesedi Cultural Village which was very interesting and I learnt about the different cultures and traditions of the people of South Africa, experienced a wonderful song and dance show and ate traditional food for lunch. This was one of the most enjoyable trips I have ever been on in Africa. 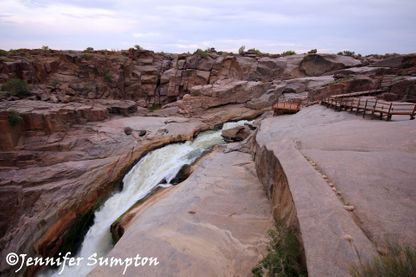 Although I have travelled to South Africa before, I had never been to the Northern Cape province. My time was limited and finding a tour to fit in with my schedule was proving difficult. I contacted Dantes Liebenberg who runs the company to see if he was able to work out an itinerary for me travelling on my own and on a limited budget. Dantes didn't disappoint and I spent a magical week in the Kgalagadi Transfrontier Park and Augrabies Falls National Park. My guide Murray was exceptional and his many years of guiding showed. 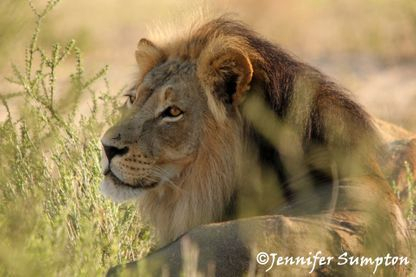 Murray even promised me that I would see the famed Kalahari Black Maned Lions (a promise I told him he should not make given nature doesn't always co-operate), but on my last morning in the park, sure enough we saw a mating pair. Half way through my trip we unfortunately had a vehicle breakdown due to the rough road conditions. Dantes was very apologetic, paid for me to go on a night safari booked through the Lodge and arranged for his wife, Elise, to drive several hundred kilometres to bring a new vehicle. Elise and I immediately hit it off and I had a great couple of days travelling with her and Murray back to Upington. Kalahari Tours and Travel offer a variety of tours on their website, but if you are unable to find what you want, contact Dantes who can tailor make a tour for you to pretty much anywhere in Southern Africa. If, like me, you would prefer to travel in a small group (12 passengers maximum), then Sunway Safaris might be for you. Sunway Safaris specialise in camping and accommodated trips in Southern Africa and I have travelled with them now on four occasions, once in 2010 and three trips in 2013, and had an absolutely brilliant time. 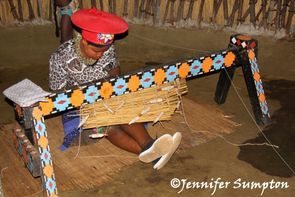 The trips were Botswana Wildside (twice), South Africa Rainbow Route and Trade Route. Great crews, great itineraries and great people. They offer an interesting variety of itineraries at value for money prices and repeat travellers get a 5% discount on subsequent tours. This is the second company I have used for day trips in Johannesburg - Soweto and the Apartheid Museum, and the Ann van Dyk Cheetah Centre. 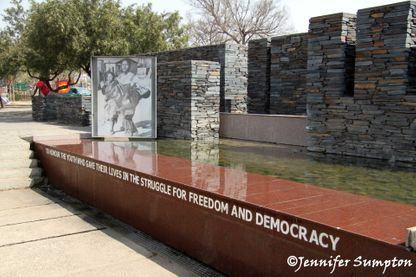 For anyone visiting Johannesburg a trip to Soweto and the Apartheid Museum is a must. As part of the visit to Soweto you visit the scene of the 16 June 1976 Soweto Uprising where school children protested over the imposition of Afrikaans as the language they would be taught in. This meant all lessons were in a language which was basically foreign to them and they would loose their own tribal languages. 556 children were killed when they were shot by police. An iconic symbol of that day is a photograph of a student carrying the body of 12 year old Hector Pieterson who had been shot. There is now a museum in Hector Pieterson's name dedicated to this time. When the students fled, they took refuge in the Regina Mundi Catholic Church which bears the bullet hole scars when police shot at the children fleeing them. As political meetings had been banned, the church was used as a place to hold meetings as well as to worship. I discovered Bongwe Safaris and Jackalberry Safaris while trying to find affordable companies in Zambia. Zambia can be expensive to visit due to its largely seasonal tourism industry and the distances needed to travel to reach the game parks. I have no hesitation in recommending both companies if you want an affordable and comfortable trip. Bongwe Safaris operate excellent trips to Kafue National Park and the Lower Zambezi National Park. I was expecting to be pitching my own tent and digging a toilet hole, but was very pleased by the standard of accommodation. On both trips I stayed in simple, but comfortable chalets with beds, mosquito nets, en suite facilities and beautiful views of the Kafue and Zambezi Rivers respectively. A brilliant guide and fantastic cook travel with you. 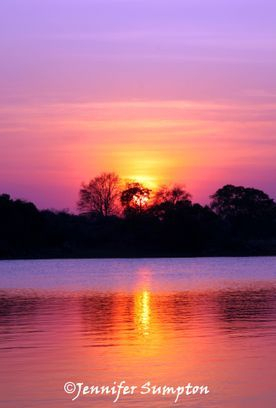 During the 4 days in Kafue I saw two cheetah, a young male lion, porcupine, civet, genet, hares, bushbabies, otters, puku, sable antelope, reed buck, water buck, bush buck, impala and the most stunning sunsets on the Kafue River. Went fishing a couple of times - the first time I caught eight red breasted bream; the second time from a boat on Kafue River I caught a couple of pike. The biggest thrill was to see leopard on our night game drives. On our first night drive we spotted a pair of eyes further along the road and initially thought by the shape and size that it was a lioness so sped up to get closer before the animal disappeared into the bushes. When we got closer, however, it wasn't a lioness but a male leopard! The following night we came across another male leopard who let us stay watching him for about an hour which is very unusual for these shy animals. 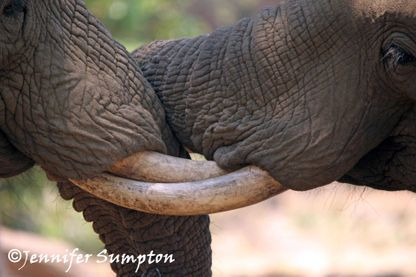 Lower Zambezi National Park is elephant heaven - every where we went there were elephants. At one point we spent about an hour with a small group of elephants which consisted of a male, a couple of females and two youngsters. The male paid us no attention, just kept on eating. Just when we thought we should probably move on and let them be, another elephant from the group would come around to us which would change the dynamics so of course we had to stay watching longer. Stopped for a picnic lunch on the banks of the Zambezi River after having watched a couple of young male elephants testing their strength against each other. There is the opportunity to go canoeing down the mighty Zambezi River - very easy trip as you are flowing with the current. See hippo and crocs at a safe distance in the canoe. I travelled with Jackalberry Safaris to South Luangwa National Park in 2010 when Gavin's camp was located at Wildlife Camp. Now located at Nkonzi Camp "deep in the heart of the South Luangwa National Park" accommodation is in pre-erected walk-in tents with comfortable beds and open air ensuite. 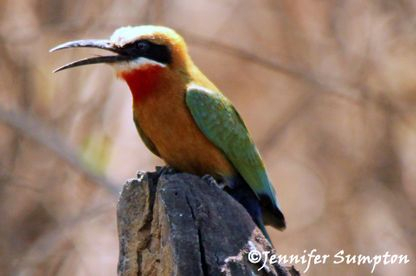 South Luangwa is a wildlife photographer's paradise seeing elephant, hippo, crocs, hyena, leopard, lions, puku, impala, zebra, warthog, giraffes and colourful birds. The highlight of the final night drive was seeing a group of 4 lionesses hunting buffalo. There must have been 1000 buffalo which had no idea the lions were there as the lions were down wind of them. 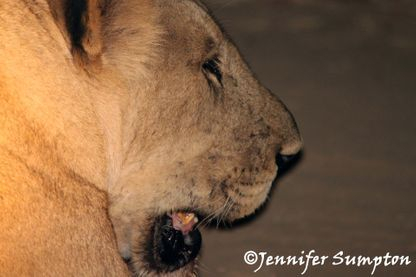 We watched for some time while the lionesses began stalking and working out their means of attack. Unfortunately because we had to be out of the park by 8.00pm we were unable to stay to see if they eventually completed a kill.